HARRISBURG – The Pennsylvania Public Utility Commission (PUC) today voted to further review the decision to grant relief for the 814 area code and plans to hold additional public hearings and technical conferences to gather more information in the case. The Commission voted 5-0 to grant the more than 40 petitions for reconsideration filed with the Commission pending review of the merits of the petitions. The Commission also voted 5-0 to approve a joint motion by Vice Chairman Tyrone J. Christy and Commissioner John F. Coleman Jr. to re-open the record in the case to gather more information through technical conferences and additional public input hearings. The dates and times of the public input hearings and conferences will be scheduled at a later date. After reviewing the merits of the petitions for reconsideration, the Commission may rescind, modify or affirm the original Dec. 16, 2010 decision to split the 814 area code along rate center boundaries. There is no statutory deadline for the Commission to make a decision. Petitions for reconsideration were to be filed with the Commission by Monday, Jan. 3, 2011. The Commission will schedule technical conferences to permit additional evidence to be submitted concerning the issues surrounding the need for area code relief, including the economic impact of both the geographic split and overlay options presented in the related North American Numbering Plan Administrator’s June 2009 Petition, as well as the issue of possible technological impediments relating to the two alternative area code relief options. Additional public input hearings also will be held throughout the 814 area code, as appropriate, upon the conclusion of the technical conferences. The Commissioners also will receive monthly updates concerning the projected exhaust date for the 814 area code. The PUC held a comment period, followed by public input hearings throughout the 814 area code in 2010, in response to the June 2009 North American Numbering Plan Administrator (NANPA) petition for area code relief. On Dec. 16, 2010, the Commission said the geographic split was more practical for the 814 area code because of the geographic size of the 814 area code and the location of population centers. With the geographic split, consumers may continue to dial seven digits for local calling. The other option available to the Commission – an overlay – would have covered the entire 814 area code with a new area code and required 10-digit dialing throughout a large geographic area in Pennsylvania. NANPA has assigned 582 as the new area code for portions of the current 814 area code west of Jefferson, Elk and McKean counties. The boundary runs in a north/south direction east Shinglehouse, Wilcox, Kersey, Dubois and Sykesville rate centers. Maps showing the county split and the rate center split are available on the Commission’s website. The new area code is scheduled to be implemented Feb. 1, 2012. The 814 area code was originally projected to run out of telephone numbers in the first quarter of 2013. New area codes are needed when existing area codes exhaust their supply of “NXX” codes (which is the second set of three digits in a 10-digit telephone number, NPA-NXX-XXXX). Of the original four Pennsylvania area codes, the 814 area code was the only one to remain unchanged. With the split, Pennsylvania now will have 12 area codes – 412/724/878, 570/272, 814, 582, 717, 610/484 and 215/267. When introducing a new area code, a permissive dialing period of about six months is allowed while customers adjust to the change. During this time, customers may reach numbers in the new area code by either dialing 814 or the new area code. Even with permissive dialing, customers are encouraged to use the correct dialing. Once the permissive dialing period has ended, customers will receive a recorded message telling them to hang up and redial the numbers using the new area code. Republican Gov.-elect Tom Corbett will soon have to decide whether to greenlight hundreds of millions of taxpayer dollars for projects supported by lawmakers or outgoing Gov. Ed Rendell. The Rendell administration late Tuesday released a list of projects that collectively are slated to receive more than $400 million, if certain qualifications are met. Rendell issued commitment letters in November and December for the lawmaker-approved projects, including hospitals, universities, businesses and a stadium. Also, lawmakers have asked Rendell in recent months to approve more than $55 million for local projects. The grants are nicknamed WAMs, for "walking-around money." Corbett takes office next week and isn't making any promises publicly. His spokesman says he'll review any funding promise Rendell made that doesn't have a completed contract. Corbett has vowed to end WAMs. SMETHPORT, Pa. (AP) -- A northwestern Pennsylvania man has been sentenced to consecutive life prison terms for stabbing and choking a pregnant woman, which also killed her unborn son - after which he sent cell phone pictures of the crime scene to a woman who turned him in. Thirty-one-year-old Thomas Haggie, of Bradford, was sentenced Thursday. He had pleaded guilty last month to killing Megan Konopka, who was eight months pregnant, with the help of another man in September 2009. Haggie avoided the possible death penalty by pleading guilty. His guilty plea was delayed when he laughed, cursed, and exclaimed, "Holy schmolies!" when prosecutors and police arrived. A McKean County judge learned Haggie hadn't taken his psychiatric medication and accepted a plea a week later after Haggie was medicated. A draft of the IU9 service budgets for fiscal 2011-2012 was discussed at the Port Allegany School Board meeting Monday night. IU9 board member (and IU9 president) Dave Mensch and superintendent Tony Flint endorsed the fiscal plan in its present form. Mensch said he doubts that there will be any significant changes in the budget before it is offered to the member school districts for their approvals. Calling it a “flat budget,” Mensch said that overall spending is not being increased, although there is “some movement back and forth,” with some items increasing and others decreasing. Flint pointed out that the state kept its contributions to intermediate units the same for 14 years, but last year cut the funding. Diminished state support for IUs is expected to continue. For the most part, IUs derive their support from member districts. IUs have no power to levy taxes. Pointing out that the Port Allegany district’s contribution to the service budgets is listed as $28,190, Flint said the district receives good value for this amount. The services the district receives are Curriculum, $10,784; instructional Media Services, $14,619; Management Services, $1,043 and Pupil Personnel, $1,744. Former IU9 vice-president and board member Gary A. Hardes questioned the salary increases given to IU9 personnel, administrators in particular. “We used to say that a raise to IU people had a trickle-down effect. Now it is more of a deluge,” Hardes stated. Flint disagreed, pointing out that the raises given to IU9 support staff were 3.01 percent, while those given to the administrative staff including the executive director and assistant were 2.81 percent. The raises were derived by averaging those given by the member districts for comparable kinds of position, Flint said, a point that was underscored by board vice president Daniel F. Kysor, presiding in the absence of president Melynda Budd. The board also heard Flint explain the contract with Seneca Highlands Wide Area Network (SHWAN) which the board will be asked to approve next month. It would bind the district to continued support of the system. The charge is $15,000 per school building. The school district’s addition of an assistant technology coordinator, this past year, has not meant that it does not consume its fair share of those services through SHWAN, Flint said, in reply to a question from board member Denise Buchanan. In personnel matters, the board appointed Matthew Lawton English Department chairman effective Thursday. He will receive a supplemental salary of $956, prorated to reflect the portion of the school year he will serve. 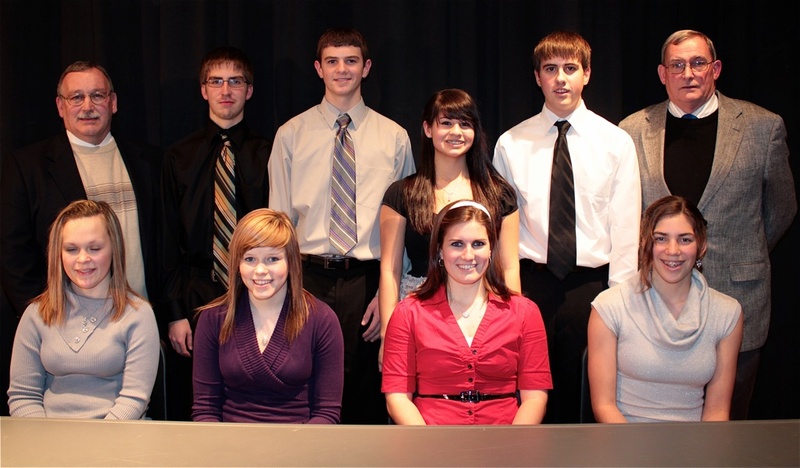 The board accepted the resignation of Melinda Milford as Title I aide. Melody Moses was transferred from a 6.5-hour instructional aide position to a 6-hour one. Mary Lashway was hired as a 4.5-hour elementary Title I aide at an hourly rate of $14.59, with fringe benefits according to the support staff contract. Anthony Edgell and Jeff Schultz were approved for continuation as volunteer basketball coaches. Shane Martin was appointed a volunteer wrestling coach, and Randy Garzel was approved as a volunteer basketball coach subject to completion of paperwork. Added to the district’s substitute lists were Saree Frederick of Duke Center, Kristina Grove and George Horning of Emporium, and Willie Bova of Port Allegany, as substitute teachers; also, Thomas Brown of Smethport and Roxanne Taylor of Port Allegany as support staff subs. Bova and Horning have paperwork pending. G.H. Harris, Inc. was reappointed collector of delinquent per capita taxes. There is no cost to the district. Business manager Judith Bodamer said that Harris’s collection rate is 100 percent. The firm charges its collection fees to the delinquent taxpayers. 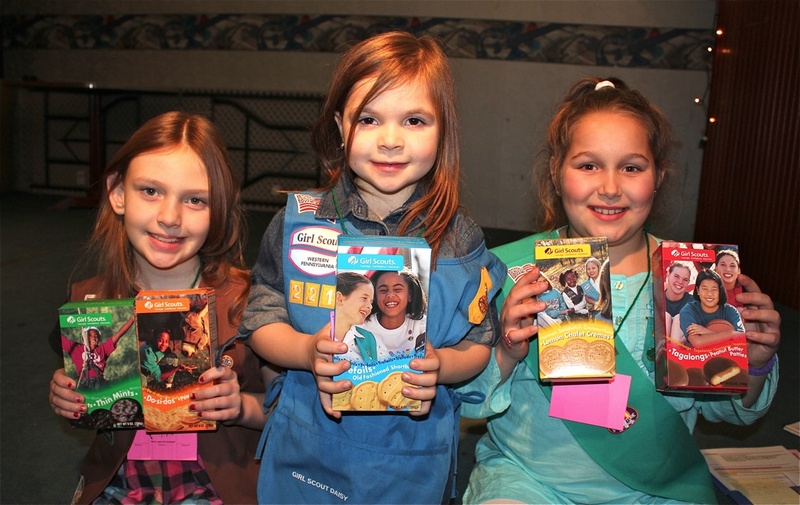 Girl Scout Cookie Time - Hannah Troupe, Thea Petruzzi and Hailee Perkins are pictured with boxes of the yearly tempting treats offered through the Girl Scout Cookie Sale. The trio participated in a Cookie Rally held Thursday evening at the Moose Family Center. Cookies are on sale now at a cost of $3.50 per box. Cookie Sale Underway - The Girl Scout Cookie sale runs from Jan 7 through March 13. Orders are now being taken by local scout troops ranging from Daisy through Seniors. Those orders will end January 28. Cookie delivery is scheduled for the week of February 21. Various booth sales will be held during the weeks of February 25 to March 13. Cookies will sell for $3.50 per box. There are eight varieties from which to choose including Thin Mints, Tagalongs, Samoas, Do-si-dos, Trefoils, Lemon Chalet Cremes, Dulce de Leche and Thank You Berry Much. The Girl Scout Cookie Program helps girls develop five essential skills such as goal setting, decision making, money management, people skills and business ethics. A portion of the proceeds goes directly to the Girl Scout Troop treasuries which helps each troop reach goals such as community service projects and funding troop field trips. The Girl Scout Cookie prograrm is an excellent way for customers to support girls in their own community and to get a great product. 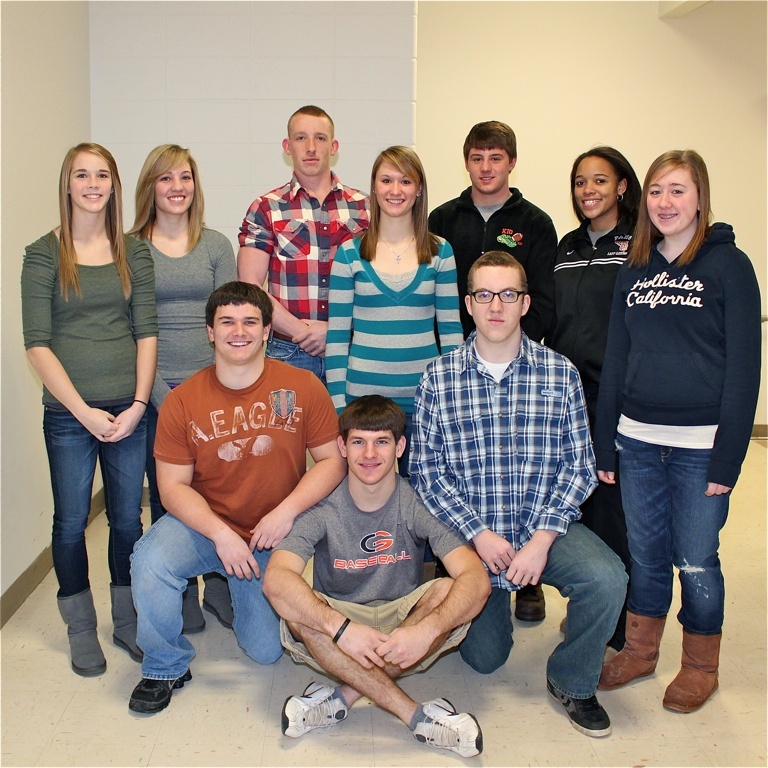 Rotary Welcomes Students - Three Port Allegany students and their advisor George Riley, presented the program for the weekly Rotary meeting held January 6 at the Moose Family Center. Jordan Edgell and Becky Andrus, along with Exchange Student Fer Spallanzani attend the World Affairs Council held recently in Pittsburgh. 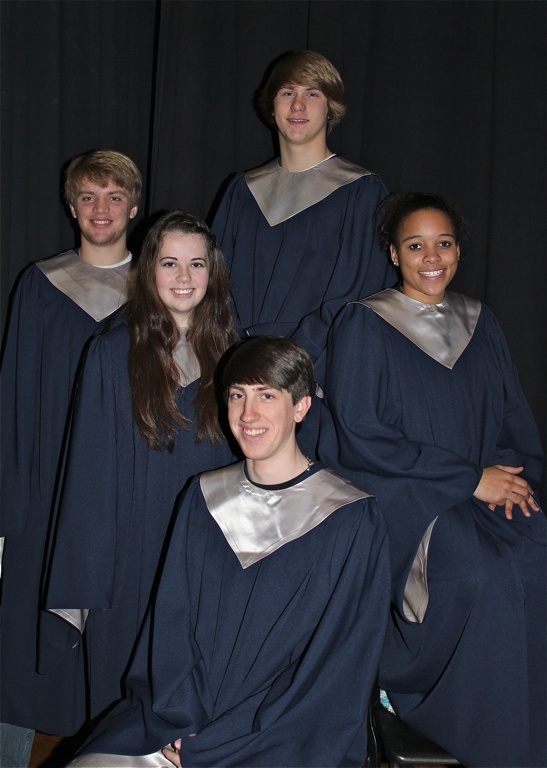 Pictured (left to right) Fer Spallanzani, Haileigh McClelland, George Riley, Seth Lowery, Jordan Edgell, Becky Andrus and Rotarian Marty Moses. 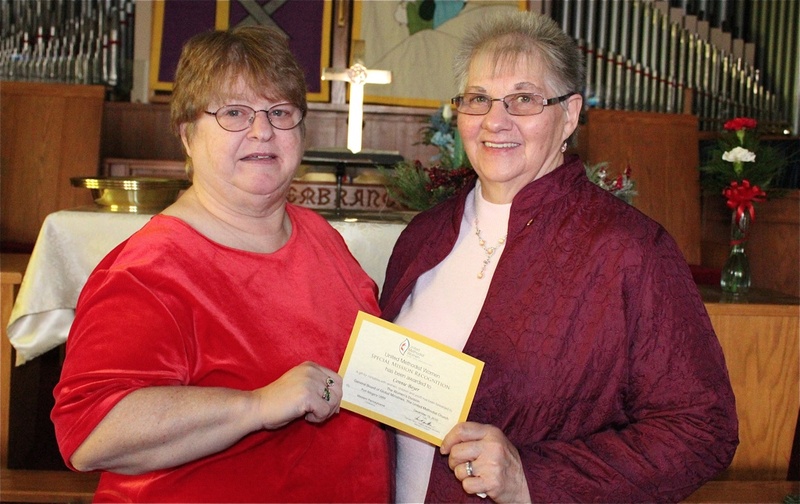 ROTARY REPORT - There were 20 Rotarians present for a reportable attendance of 67 percent at the January 6 meeting of the Port Allegany Rotary Club. Presenting the program were George Riley, Jordan Edgell, Becky Andrus and Fer Spallanzani who told of their experience at the World Affairs Council held recently in Pittsburgh. Also visiting were Senior Guests Seth Lowery and Haleigh McClelland and Smethport Rotarian Troy Herzog. There will be no lunch meeting on January 13. The Holiday Dinner will be held January 15 at the Moose Family Center. Souper Supper - The Port Allegany Music Boosters are sponsoring a soup supper on Thursday, January 13 in the PAHS cafeteria. The supper will include soup, crackers/bread, dessert and beverages. The cost is $4 per person with tickets being available at the door. Serving time is 5:00 - 6:30 p.m. 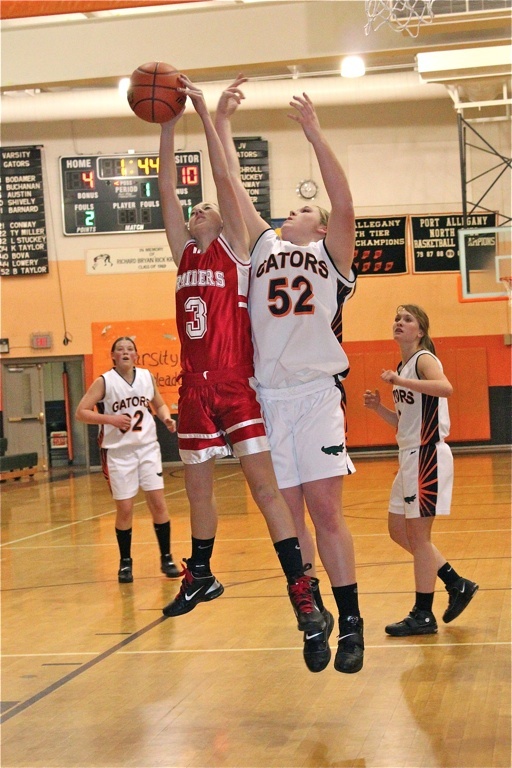 The Lady Gators will host Oswayo Valley in North Tier League Basketball action with the JV game beginning at 6:00 p.m. The Boosters will sponsor a second soup supper on Wednesday, January 26. The Port Allegany Gators will take on Sheffield that night with the JV game starting at 6 p.m. The White Sox have added two candidates for their 2011 pitching staff, signing Josh Kinney and Shane Lindsay to Minor League contracts according to published reports. Kinney, who has limited big league experience, and Australian native Lindsay are both right-handers and their contracts are believed to include invitations to Spring Training. ESPNChicago.com first reported the deals. Kinney, 31, posted an ERA of 1.80 last season for the Cardinals' Triple-A club in Memphis. 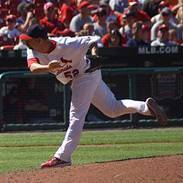 In stints with the Cards in 2006 and 2008-09, he compiled a 4.56 ERA in 45 relief appearances. Lindsay, who turns 26 later this month, reached the Triple-A level for the first time last season, his sixth as a pro, appearing in a total of 33 games at three different stops in the organizations of the Indians and the Rockies. The Melbourne native has spent most of his career in the Rockies' chain, including 42 starts among his 119 career appearances. Lady Gators Basketball Action - The Lady Gators took on the Lady Red Raiders in North Tier League action last week at PAHS. Pictured is Rachel Taylor going up for a rebound. 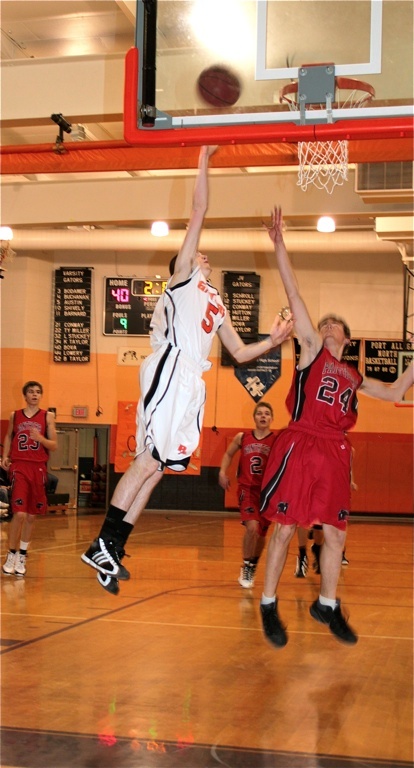 Cameron County defeated Port Allegany with a score of 43-35.